Ladbrokes and Coral have made the executive decision to now offer Best Odds Guaranteed in there betting shops on all bets taken over the counter on British and Irish racing. This all comes with the idea that the upcoming FOBT stake cuts will have a huge effect on the betting industry and more so with money going into betting shops, but with this added addition to horse racing bets it will look to boost business. Punters that bet in the two high street outlets, which merged together in November 2016 under the partnership of GVC Holdings Group, will now be able to take advantage of this offer from 8am. There are stipulations however, and you must be a holder of a Ladbrokes Grid or a Coral connect card to get involved. The inevitability of the stake cuts with the governments FOBT proposal is set to see a fall in betting shop numbers. The cut will see stakes allowed to be wagered on fixed odds betting terminals got from £100 to £2 from April 1st. 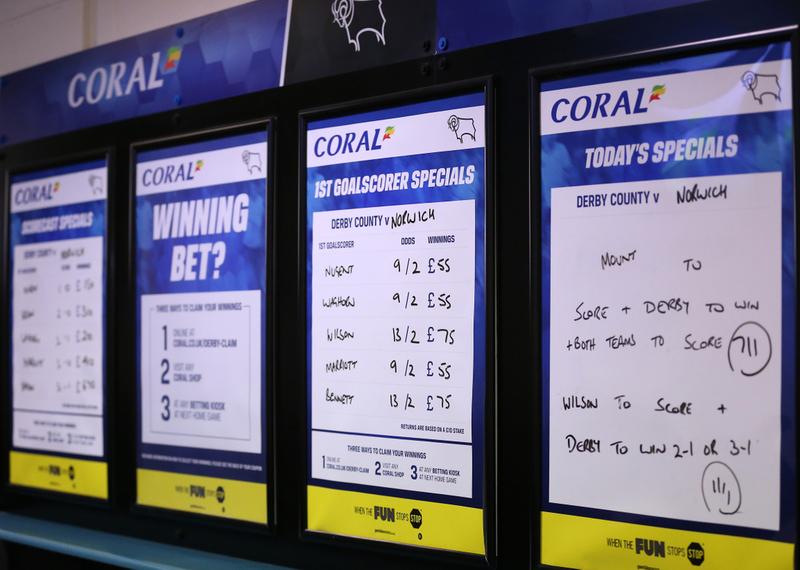 This problem for the industry could see up to 1,000 shops shut for the GVC Holdings Group, but with the marketing and advertising of Ladbrokes and Coral and this new addition of BOG in betting shops they could still benefit strongly. (Credit Racing Post) Ladbrokes Coral PR director Simon Clare said: "This is the biggest racing offer ever to hit the high street, and is a clear signal of our intent as we face up to a new era for betting shops from April 1. "There is no question that a seismic change in our betting shop business is going to occur when the FOBT stake restrictions come into force, but we are now taking pre-emptive action with the launch of this significant betting shop offer, which will boost our horse racing business and also our betting shop footfall as we prepare for the challenge ahead."